Map your island getaway Today! Put-in-Bay Maps and directions that are printable are located in our downloadable Put-in-Bay Island Guide. Your Put-in-Bay map will guide you around the crown jewel of the Lake Erie Islands, South Bass Island. More than half a million people visit Put-in-Bay —nicknamed the Key West of the North-every year. Getting to Put-in-Bay island is half the fun! The island is located in Lake Erie, approximately 5 miles from Catawba Island and Port Clinton, Ohio. The Lake Erie Island area is a beautiful section of the Lake Erie basin. Fishing, sailing, and island-hopping are frequent and regular seasonal activities in the summer, while ice fishing is the top selection for winter time. Below is a regional map of the Put-in-Bay area to help you plan your trip. The main ferry routes are marked. Driving Directions to Put-in-Bay are included below. Once you have arrived at Put-in-Bay, our local Put-in-Bay maps will show you where things are located on the island. Below is a Put-in-Bay map showing the most popular Put-in-Bay Hotels available. The map is broken down by resort hotels and Put-in-Bay Villa Rentals. The landing spots for the island ferries are also shown. All one must do before arriving is to reserve your Put-in-Bay Golf Cart to get you to and from. 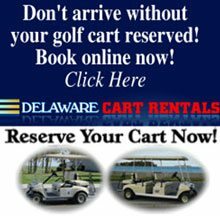 Golf carts are licensed motor vehicle on the island and driven and treated like cars. Reservations are strongly recommended. Put-in-Bay Taxis are also available.